Good morning! Nicole, here, doing things a little backwards this week on the blog. We gave all kinds of inspiration yesterday regarding the arrow trend. Inspired myself, I've used an arrow in today's Tuesday, I mean Wednesday, layout! These are my dear friends, Rex and Charissa, who wed in a beautiful ceremony October 30, 2010. They happily handed over their photos from the planning stages to the first anniversary, and I couldn't be more honored to put them together in an album. 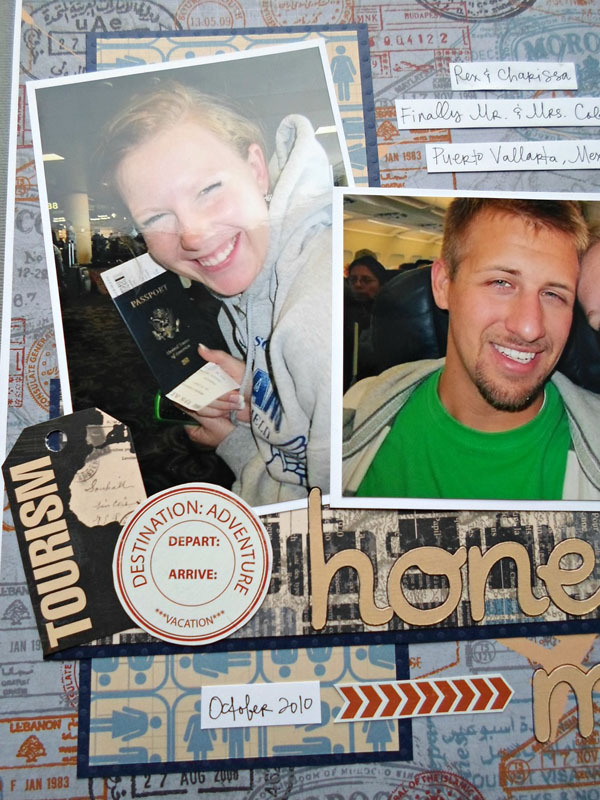 The couple headed to Mexico for their honeymoon. 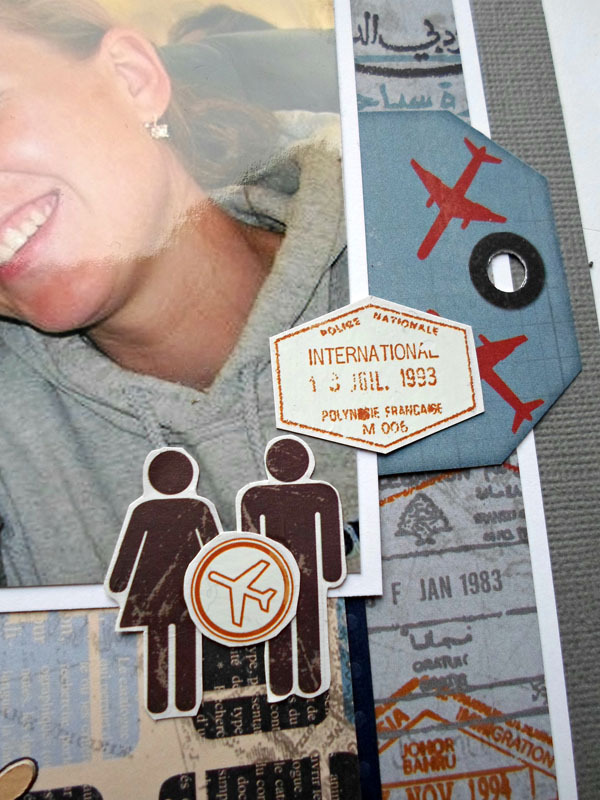 Inspired by the passport and the matching blue of the airline seats, I chose the Detour collection from BoBunny. A few of the embellishments, such as the arrow, were a part of the Detour Rubons. The background papers are quite busy, and I was afraid the rubon would get lost. Therefore, I transfered it onto the white cardstock packaging that came with the rubons, cut out the arrow, and adhered it to the page. You can find the Detour Collection in our online store or by visiting Creations Galore at 3164 Cornet Way in Green Bay, Wisconsin. Thanks again to the Coldagelli's for sharing their photos with us today! 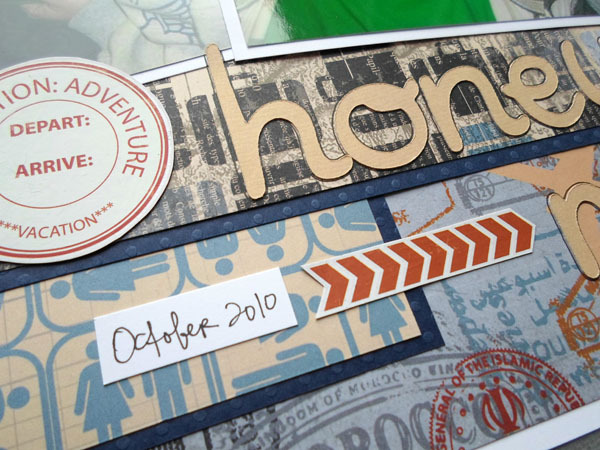 *Creations Galore does custom albums, from simple to highly embellished, mini to extra large. Visit us in store or call Nicole at (920) 983-0033 for a free consultation.